Learn about the future of ATL! 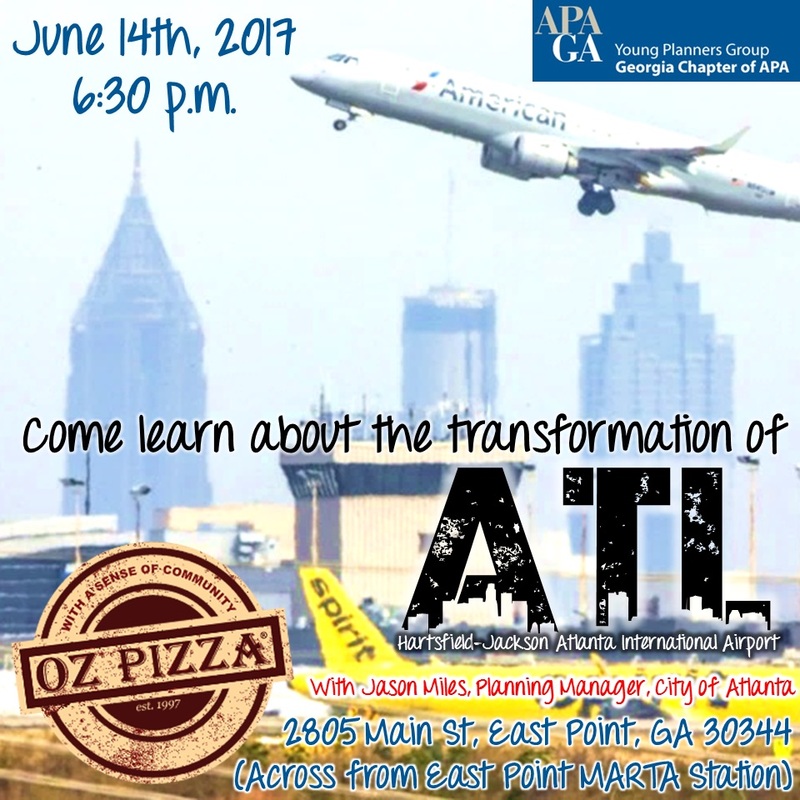 Jason Miles, C.M., the Planning Manager for the City of Atlanta and former 15-year Operations Division member for the Department of Aviation, will discuss the ground transportation, public safety, terminals and concourses, and airfield improvements coming to the busiest airport in the world. Hartsfield-Jackson’s new development program, ATLNext, consists of a series of projects designed to boost capacity, renew and replace existing facilities, and enhance ATL’s aesthetic appeal over the next 20 years to help secure our airport’s position as the world’s most efficient airport and further bolster the airport’s goal to provide the best possible customer service while meeting passengers’ changing needs. The work is projected to cost more than $6 billion, with nearly $1 billion to be spent in 2017 alone. Join us over food at Oz Pizza, right across from the East Point MARTA Station!